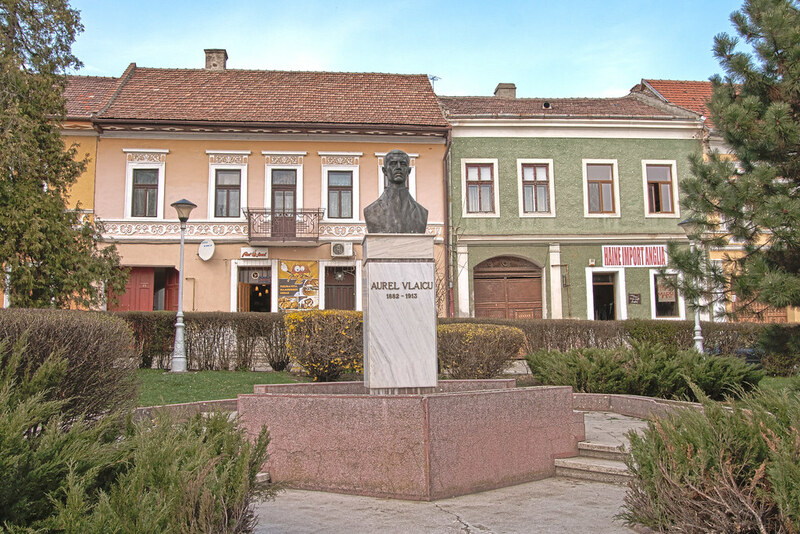 Aurel Vlaicu Monument standing in front of the College that bears his name. Aurel Vlaicu bust, sculpted by Ana Olaru, cast in bronze, was unveiled on November 29, 1957 when Aurel Vlaicu name was received by the institution. The monument is located in Victoria Square. 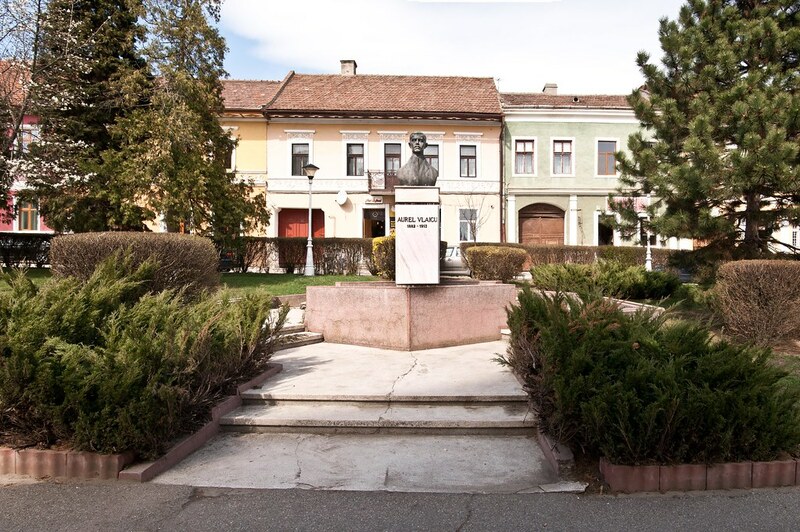 Sculpture belongs to Nicolae Pascu, the monument being unveiled on September 28, 1974, to celebrate 750 years of documentary attestation of the city.